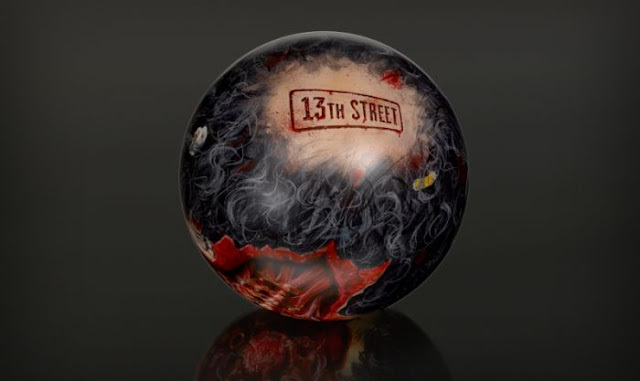 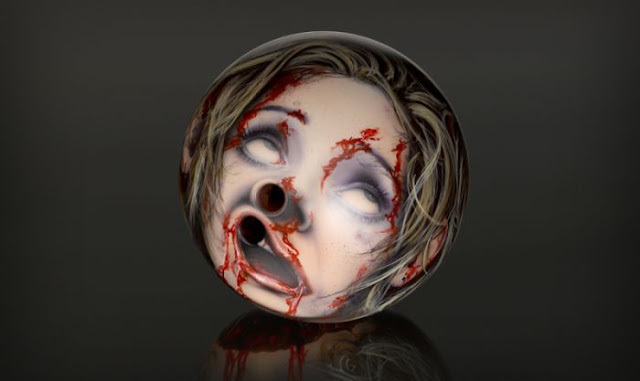 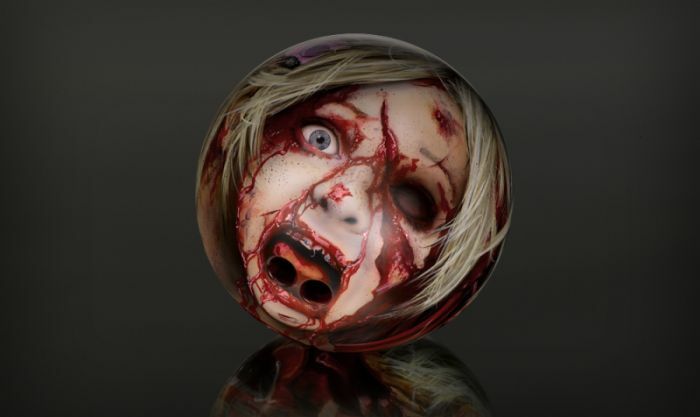 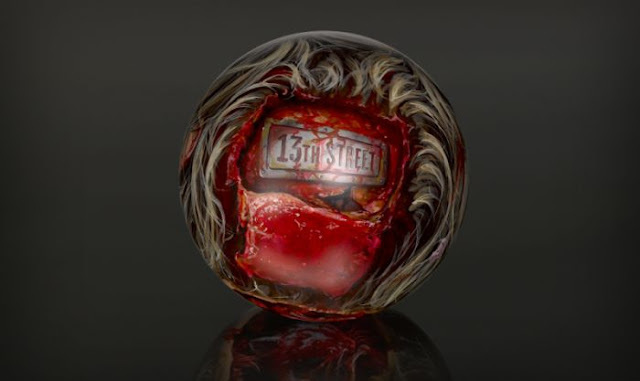 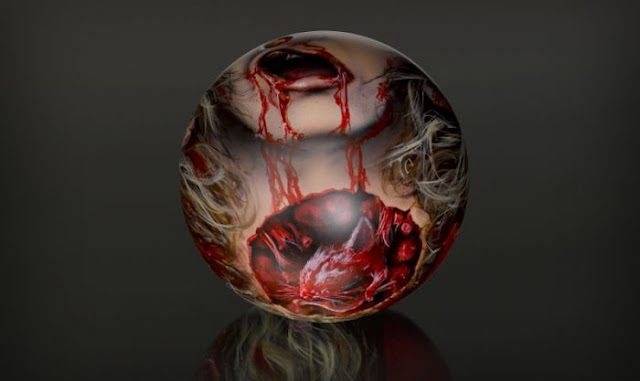 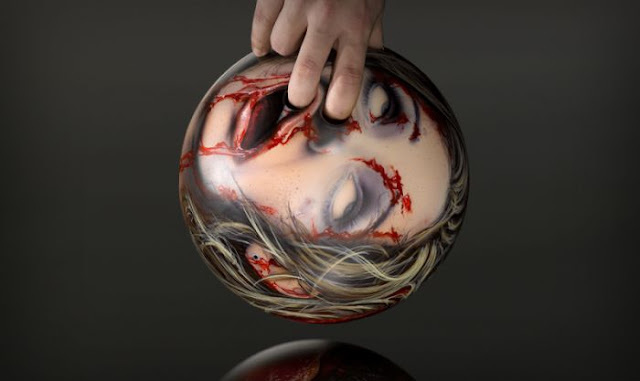 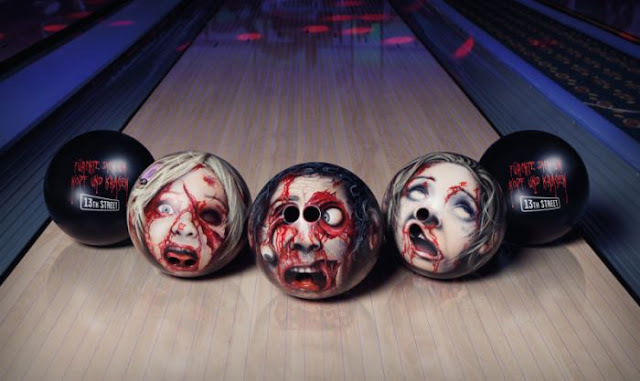 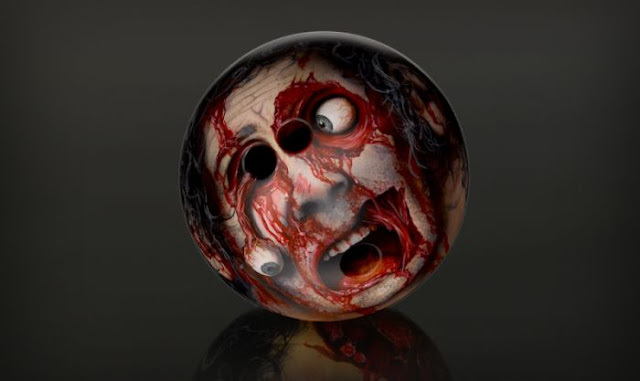 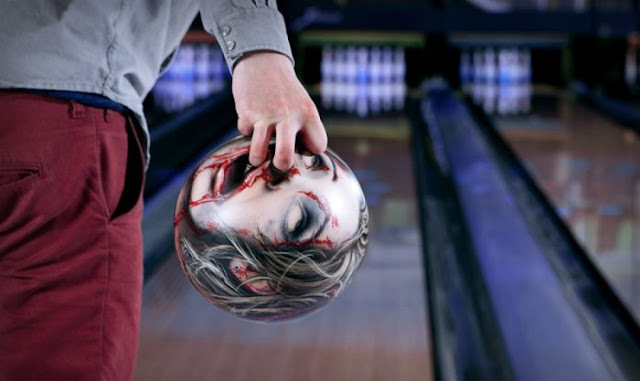 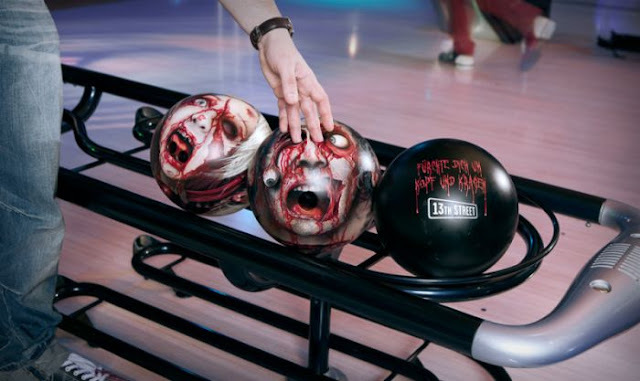 These special bowling balls that look like cut-off heads were painted by german spraygun artist Oliver Paass. 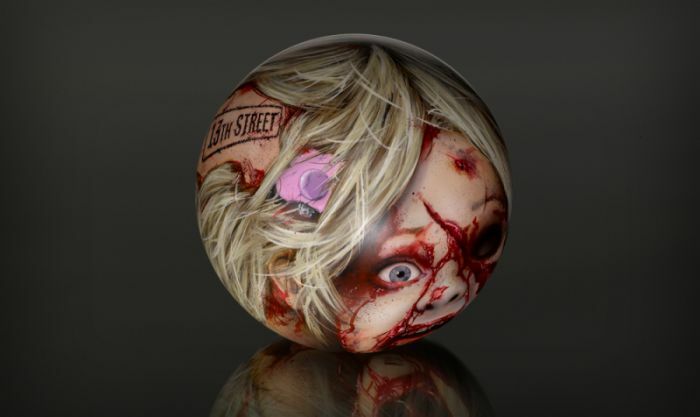 In several German bowling alleys they swapped the standard balls for these special ones. 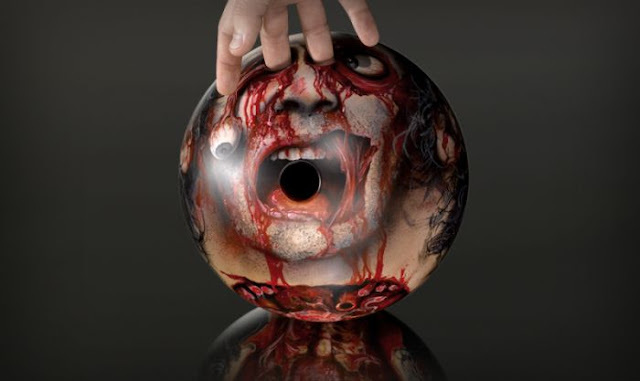 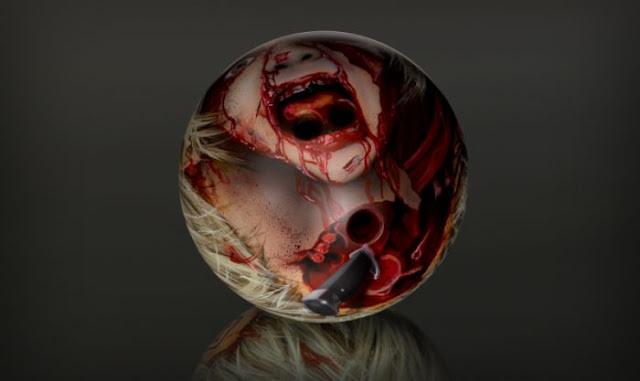 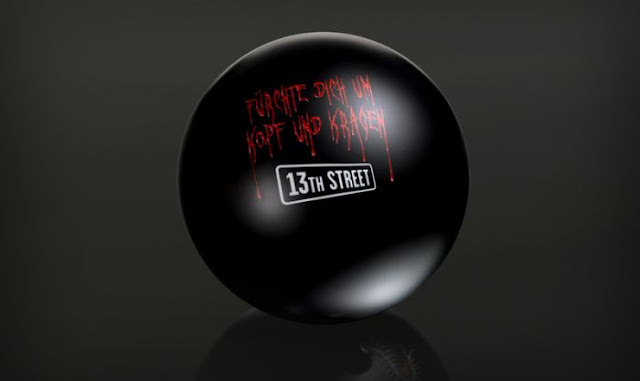 Additional black balls referred to the German horror TV channel No.1: 13th STREET – Scream your head off!